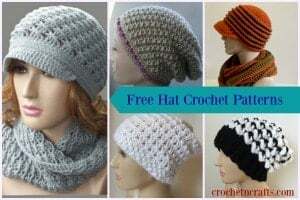 The slip stitch is almost invisible. As a matter of fact, if you do it right and didn’t look for the seam you wouldn’t see it. It’s a great stitch for hemming, finishing off pillows, stuffed animals, waistbands and anything where you need to make a closure that can’t be done with a sewing machine. 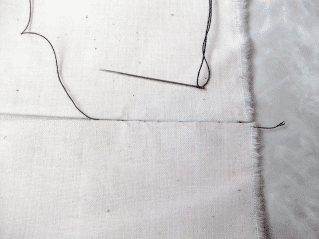 To make the slip stitch simply thread your needle and tie a knot at one end. With your work in left hand and the needle and thread in the right. 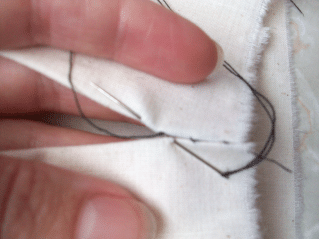 Work from right to left and bring the needle and thread through one folded edge. Going in on the opposite side catch 1 or 2 threads in the fabric. Then bring the needle back into the fold and slip about 1/4″ of material onto the needle. before bringing it back out again along the same edge. Continue this method until seam is finished. So basically you have a large stitch on the fold and a tiny tack on the side that will be seen. Hence the invisible stitch.